Thunderbird is an email client designed and written by Mozilla - the people who developed the Firefox web browser. 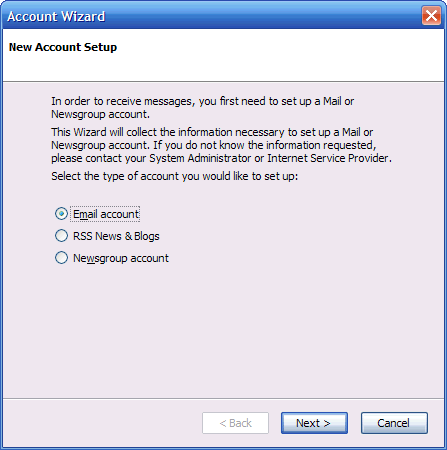 It represents much better security and ease of use than Outlook Express, so is worth switching to Thunderbird, even though you have to download and install it rather than use Outlook Express, supplied free with Windows. 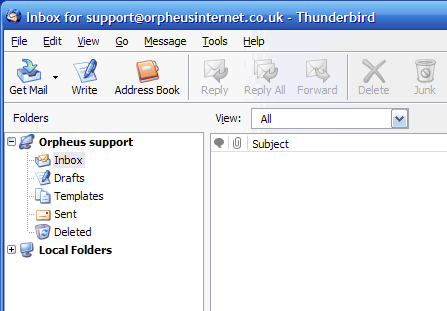 Once you have downloaded and installed Thunderbird, follow these simple instructions for configuring it for Orpheus email. You should now enter the relevant incoming and outgoing server information. 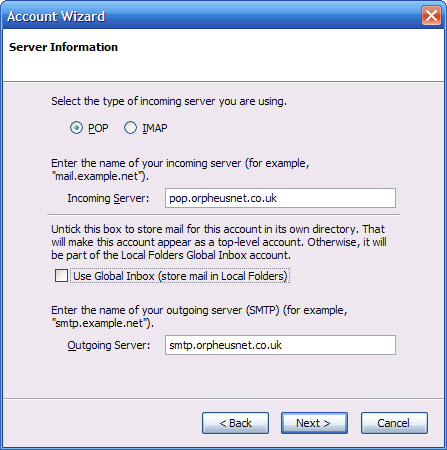 This was supplied with your original account documentation and is pop.orpheusnet.co.uk for incoming (POP) mail and smtp.orpheusnet.co.uk for outgoing (SMTP) mail. Click on Next > to continue. N.B. A recommendation is to untick the Use Global Inbox option which will ensure that this email account has it's own top-level inbox, which is useful if you're planning to add further email accounts. 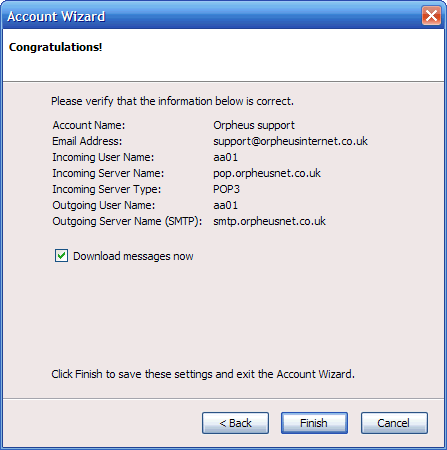 Orpheus don't require a username for outgoing mail, so ensure the Outgoing User Name is blank. Click on Next > to continue. You should now enter a name to call the new account. 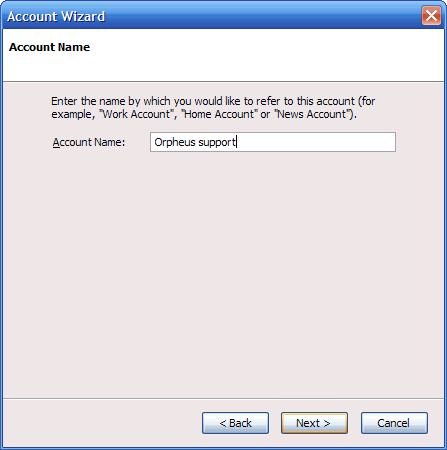 This can be whatever you want and is used by Thunderbird to identify the account. What you type here will appear in your listing of mailboxes. 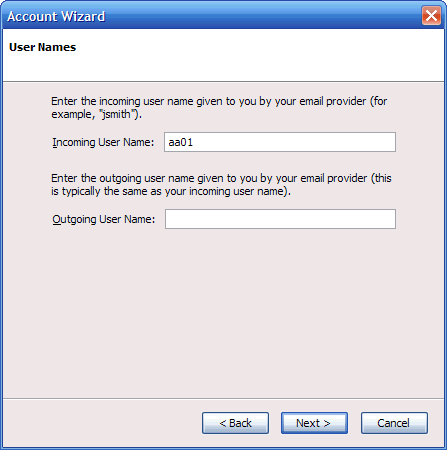 The setup of your email account is now complete and you will be shown a summary of the details you entered. You're also given the option of downloading messages now. Set the tick box accordingly and click Finish. 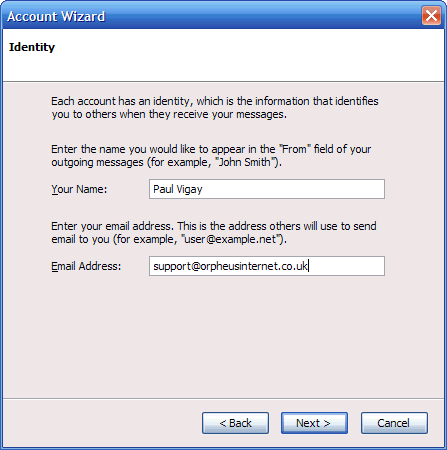 The first time you fetch email for a new account, Thunderbird will ask you to enter the password for the relevant account (fig.7). Enter your POP email password and tick the box if you want the computer to save your password for future reference (which will save you having to remember it and enter it each time you check mail for this account. Click OK to continue and start fetching mail for this account. I would advise everyone to think seriously about encrypting their emails so that friends, colleagues, snoopers or law enforcement cannot read your communications. In these days of 'Big Brother' surveillance states and Orwellian governments, we need to be ever more vigilent to fight against draconian schemes to erode our freedom and privacy. To this end, I've written some detailed instructions on installing Gnu Privacy Guard with Thunderbird.